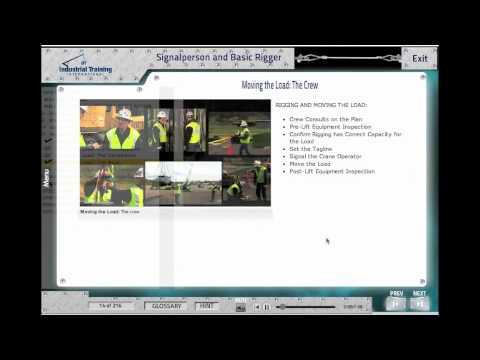 This online Advanced Rigging course examines winch and block applications, explains the nature and application of load drifting, and teaches you how to do calculations using the Master Rigger’s Reference Card and how to move loads with mechanical, hydraulic, and air systems. This course is made up of six half-hour, stand-alone modules for a total of three hours. The individual half-hour modules may also be purchased separately. Testing conducted throughout this course are designed to reinforce the information presented. A mark of 70% must be achieved in order to receive a certificate of completion. Users are able to repeat the course twice if the pass mark is not achieved.